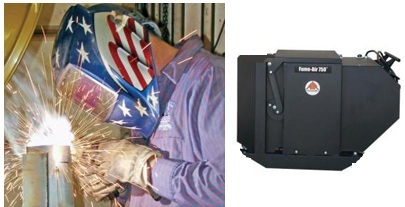 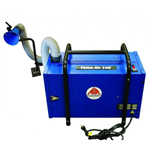 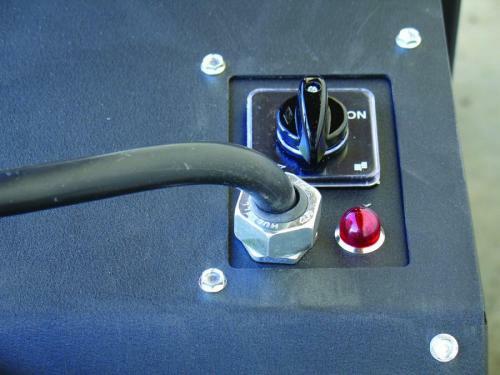 The Air Systems Fume Air 750 is a portable fume extractor unit which meets OSHA PEL for Hexavalent Chromium Standards. 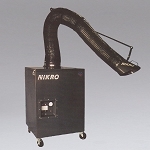 The Air Systems Large Fume Extractor PFE-750-8 is designed as per OSHA Standards and includes a 15 VAC, 12.5 amp motor and a 99.97% HEPA filter. 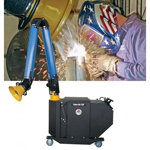 It features optional hood lighting with a flow damper and fume capture hood measuring 13 inches.